to European exploration, pastoralism in the 1860s and Overland Telegraph operations from 1872-96. Pangki Warrunha was the Aboriginal name for these springs and the numerous stone chips and flakes around the springs reflect the importance of the area to Aboriginal people. European explorer Warburton came upon Strangways in 1858. He named them after Henry Bull Templar Strangways, a South Australian political figure of the day. 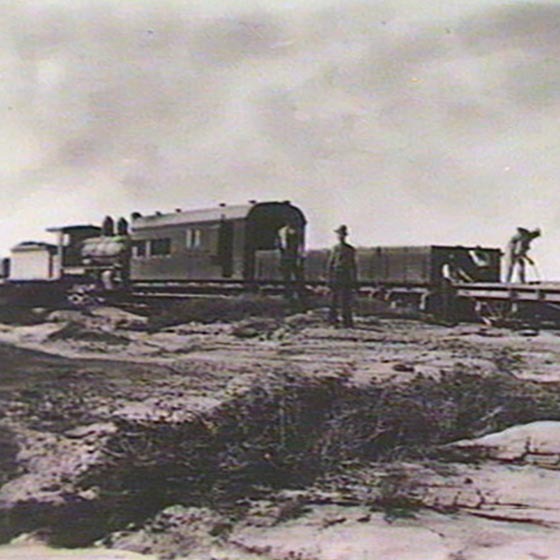 Later, as Premier, Strangways initiated construction of the Overland Telegraph from Port Augusta to Darwin. 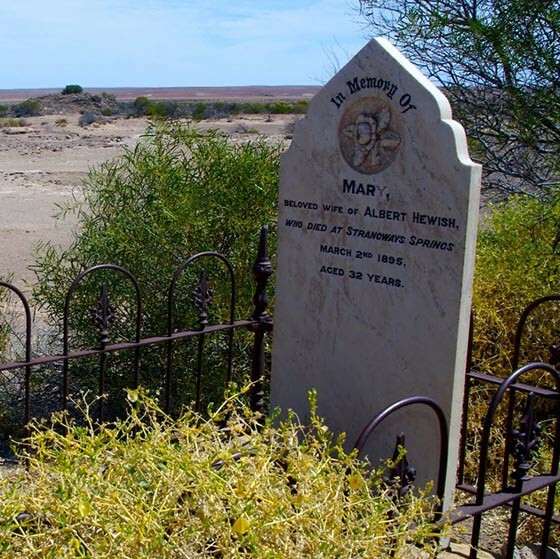 The Overland Telegraph followed an arc of springs to the south and west of Lake Eyre, a line of waters which also determined the route of the narrow gauge (Ghan) railway to Central Australia. Strangways Overland Telegraph Repeater Station was one of 11 stations which relayed the telegraphic signal along the route between Adelaide and Darwin. The Strangways Station operated from 1872 to 1896. Strangways, with its fascinating history, is nationally significant and is protected under national and state legislation. The Mound Springs Walk visits the cemetery and passes a variety of active and extinct springs. This walk takes you past extinct and active mound springs, and to the ruins of the woolwash plant which includes relics remaining from the unpleasant task of scouring wool. Strangways pastoral station was established in 1862, not long after Europeans first arrived in the area. Sheep and cattle were grazed around the many springs, watched over by local Aboriginal people, who also worked at the woolwash plant. Strangways also offered hospitality to travellers, the small settlement being a most welcome stop-over. 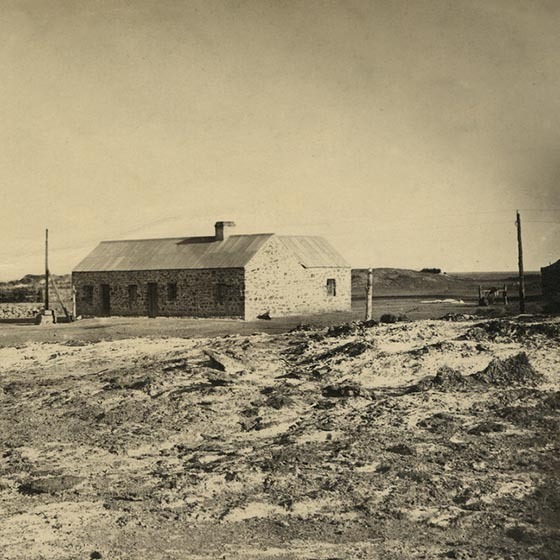 After the telegraph station commenced operation in 1872 pastoral activities were transferred over a period of some years to nearby Anna Creek and wool washing ceased at Strangways. In June 1882 plans were announced to extend the ‘Great Northern Railway’ from its then terminus at Farina to Herrgott Springs (now Marree). The track reached Herrgott Springs in 1884, and in July construction was started on the next section to Strangways Springs. Five to six hundred unemployed men, recruited from Adelaide, travelled northwards temporarily residing in the area and increasing the level of activity at Strangways. 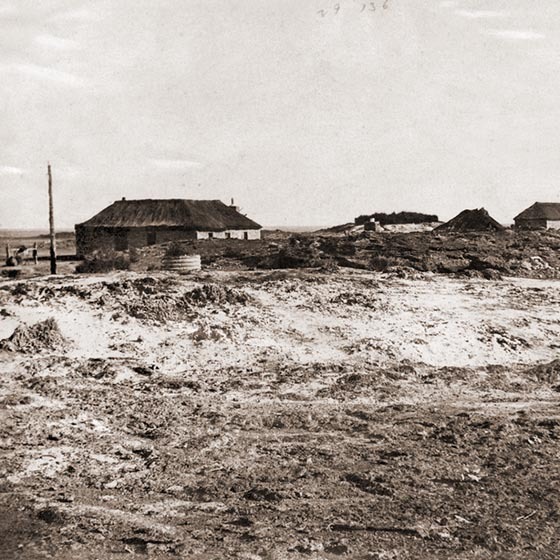 A canvas and iron settlement arose about two kilometres north east of the repeater station with temporary structures such as Bennet’s eating house and store catering for railway workers, iron sheds for clerks, and tents for a butcher and saddler. More substantial structures came with a hotel built in 1886, and a police station erected in the same year to deter sly grog sellers (with little success by all accounts). Race meetings kept workers entertained. 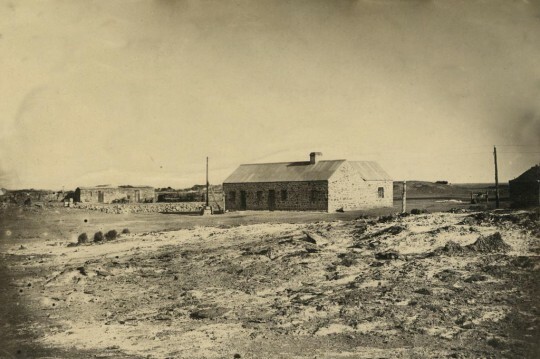 Following completion of railway construction to Oodnadatta in 1891 most of the workers left, resulting in the closure of the police station a few years later. Peter Edgerton Warburton, then South Australian Commissioner of Police, traversed this country in late 1858 and noted the springs at Strangways, naming them after State Parliamentarian Henry Bull Templar Strangways. Another explorer, John McDouall Stuart, described numerous additional springs when traversing the area during his inland explorations of 1859. With their assured water supply the mound springs were an essential stepping stone for early European exploration and development of the centre of the continent. Pastoral development of Strangways closely followed its European discovery and in November 1862 it was taken up under pastoral lease by a syndicate consisting of John Warren, Julius Jeffreys and William Bakewell. By 1863 3000 ewes, 300 rams and 40 head of cattle had reached the springs. Unaware of a developing drought the syndicate brought in a further 3500 sheep and by 1865 half the livestock had died. The drought ended in 1866 and the pastoralists continued their activities, with wool being carted to Port Augusta and sold to English markets. Many structures were built for the pastoral run including a head station and dry-stone wall yards. In 1870 Strangways was selected as a site for one of the repeater stations of the Overland Telegraph and the pastoral activities were relocated over a period of some years to nearby Anna Creek. Strangways Springs have been/ and still are important to the Arabana people both physically and spiritually. Physically the springs were an unfailing reserve of water in the frequent dry times, although Aboriginal people did prefer the less saline water from rock holes, soaks and creek lines when available. Archaeological material such as grinding stone fragments, flakes, chips, cores, hearthstones and animal bones are very common around Strangways and most other mound springs, providing abundant evidence of long Aboriginal occupation. Spiritually Strangways has been an important mythological site. Until European exploration it was known as Pangki Warrunha which means ‘White Ribs’, a reference to the white banding that occurs on a number of the springs. The myth relating to this site refers to the two ancestral Snakes Kurkari (Green Snake) and Yurkunangku (Red-bellied Black Snake). Yurkunangku had come from Kulatanha (Kurlarta) Springs in the Northern Territory, while Kurkari came from Arltunda (Erldunda), also in the Northern Territory. The Snakes are involved in the creation of the mound springs and other natural landmarks and together they journey great distances, and have many adventures on the way. They camp overnight at Strangways and waking in the morning they say: ‘Eh, old fellow my friend/ our ribs have turned white! It’s because we have travelled such a long way!’ The snakes continue their journey south to Yarra Wurta cliff at the northern end of Lake Torrens before returning to their final resting place at Margaret Springs 21 km south of Strangways. The Snake mythology extends from the Northern Territory to South Australia, linking the Lower Southern Aranda, Arabana, and Kuyani people who lived here before European occupation. European settlement quickly followed exploration and Arabana people were dispossessed. Cattle grazing and drought impacted heavily on traditional food sources and many Arabana moved for rations and employment to the various major centres – Strangways, Anna Creek/ Wood Duck, the Peake, Cootanoorina, Wandillina (near Mt. Dutton), Oodnadatta and Finniss Springs. Others camped near railway sidings living in semi-traditional fashion. An influenza epidemic in 1919 wiped out whole families and even whole groups, particularly those camped by the railway lines. The majority of remaining Arabana live in localities such as Marree and Pt. Augusta. In 1870 construction of a 3178 km telegraph line, from Port Augusta to Port Darwin, was commenced to speed up communication between England and the isolated colonies of Australia. The pastoral head station at Strangways was selected as the site for one of the many repeater stations established at intervals of around 250 km to re-transmit the telegraph signals along the line. Construction of the telegraph line involved tremendous organisation. Some 36 000 poles had to be erected across the continent and hauled many kilometres by horses and bullocks into arid land and through searing heat. Overall control of the project was given over to Charles Todd (South Australian Postmaster General, Superintendent of elegraphs and Government Astronomer). The project was split into three sections: Southern, Central and Northern. 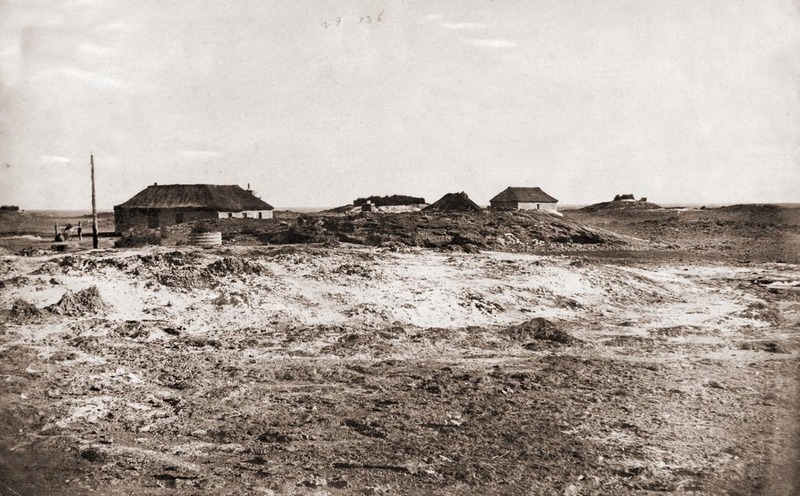 By December 1871 the line from Port Augusta to Tennant Creek was complete, but progress on the Northern line, which started at Darwin, was slowed by the onset of the wet season. Strangways Spring Station, 1876. This property was both a pastoral run and a Telegraph Repeater Station. The working parties persisted and on 22 August 1872 the final link of the telegraph line was made at Frew’s Pond, 500 km south of Darwin, after much anxiety over the delays. Strangways Repeater Station and Telegraph Office opened officially on the same day. 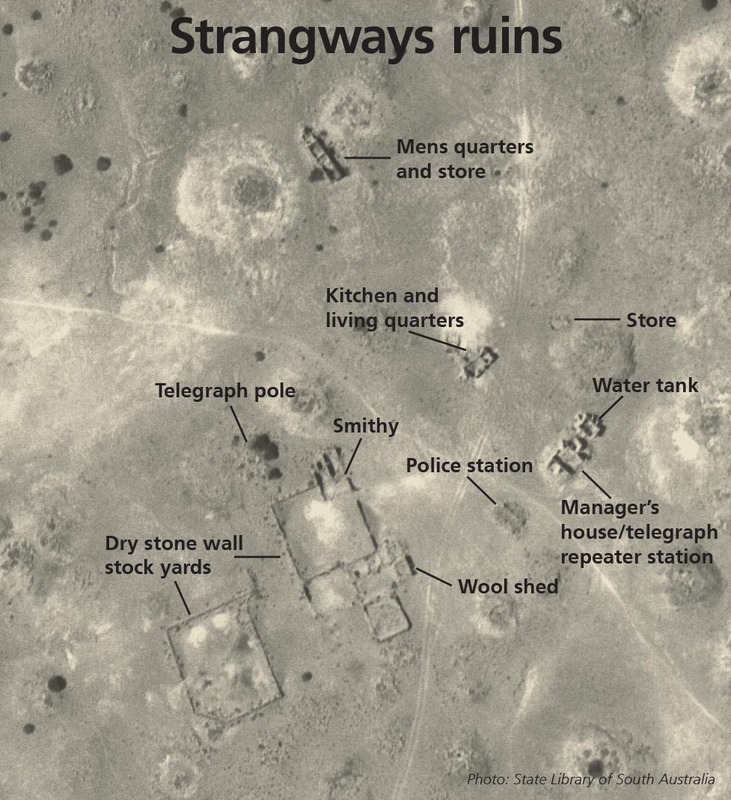 Strangways was an important centre for many years, but on 8 October 1896 its post and telegraph services were closed and transferred to the nearby town of William Creek on the recently completed Marree-Oodnadatta railway. The ruins that remain at Strangways illustrate the history of the pastoral and telegraph eras. Stabilisation of the ruins was carried by Heritage staff of the South Australian Government in March 1995. Having evolved within a desert environment the wetlands of the mound springs have a unique and nationally important range of native plants and animals, and Strangways Springs are no exception. Strangways includes a large number of mounds, many of which have ceased to flow due, in part, to the sinking of bores in the Great Artesian Basin. However, many springs still support wetland communities. These active springs vary in size, age and flow rate, and have a diverse array of vegetation. Thirteen aquatic plant species have been recorded, including cutting grass (Gahnia trifida), which is of particular interest as it is normally associated with wetland areas hundreds of kilometres to the south. 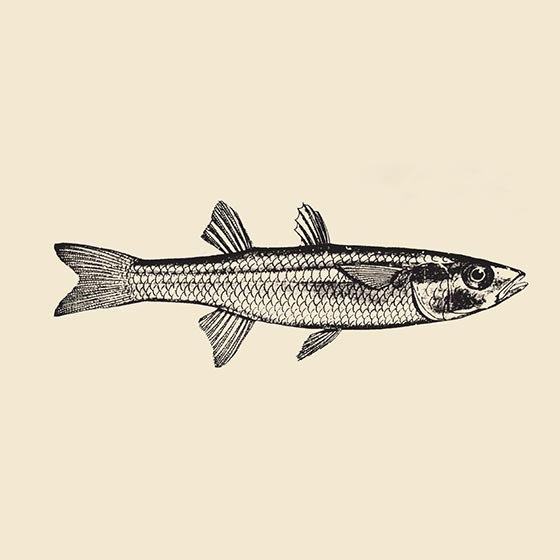 The fauna of the Strangways springs include four species of invertebrates found only in the mound springs area, and one fish species, the Lake Eyre Hardyhead (Craterocephalus eyresii). The conservation of these species is a high priority. For the first two or three decades of pastoral activity at Strangways the springs/ flora and fauna remained relatively unmodified. Conscious of the need to protect the water resource and to prevent stock being bogged, the early pastoralists fenced off many of the key springs. 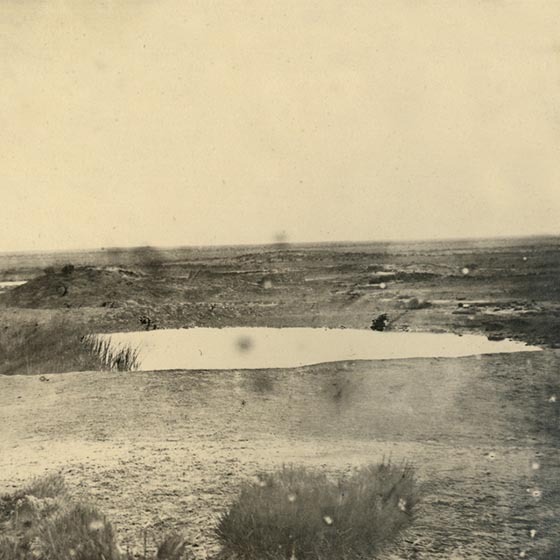 After bores were sunk to tap the vast underground water resources of the Great Artesian Basin the importance of the mound springs for stock watering diminished, and the protective fencing was allowed to fall into disrepair. A long period of degradation by stock and other animals followed and more recently off-road vehicles have added to the damage. In the mid 1990s the majority of the springs at Strangways were fenced by pastoral lessees S Kidman and Co. 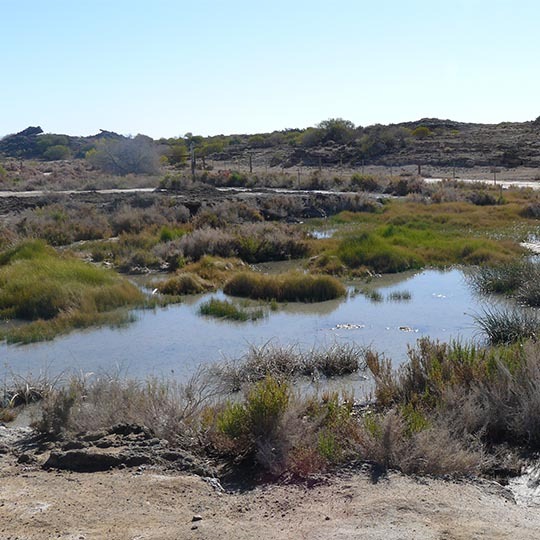 The program of protective works at Strangways represents a further step in the conservation of the features of the Lake Eyre Basin. The enormous significance of Strangways Springs from both a natural and cultural heritage perspective is reflected in a range of activities over many years to conserve and enhance the heritage features of the site. 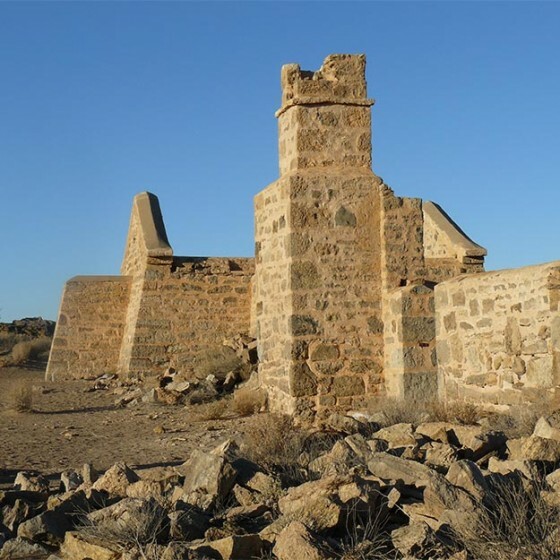 In 1995 the South Australian Environment agency carried out stabilization work at the ruins of what were originally pastoral (sheep) station buildings and structures before being converted for use as an Overland Telegraph Repeater Station. In association with this work, interpretive information was also installed. Strangways Springs was also one of the sites where protective fencing was erected by the State Environment agency in the mid-1980s, at a spring associated with a wool-scouring operation linking with the early sheep operation. Strangways Springs lie on the Anna Creek pastoral lease and. in the mid-1990s, the lessee S Kidman and Co took the initiative to fence virtually the entire spring complex, as well as a small adjoining area containing a rare shrub Hemichroa mesembryanthema. The Friends of Mound Springs (FOMS) group has actively supported research, conservation and extension activities at Strangways. In 2008, FOMS assisted the State Environment Department in a survey of the remaining active mound springs at Strangways, around 80 in total. This work provided valuable information for the Department’s mound springs data base. 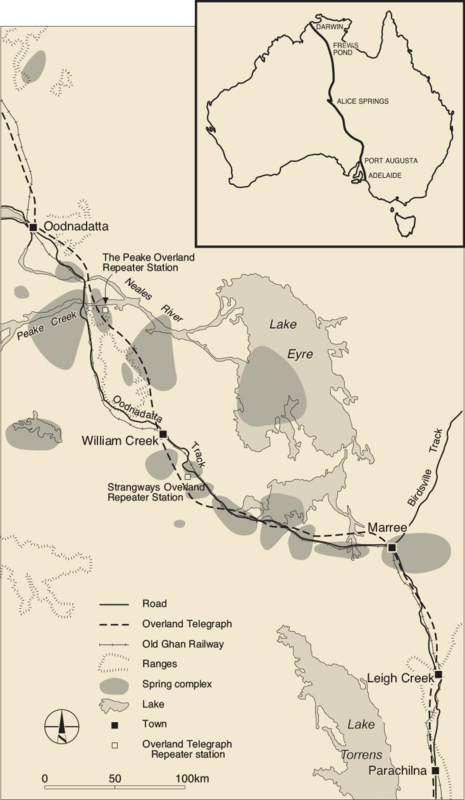 FOMS initiated a major project at Strangways in 2010, when Commonwealth funds were made available for the establishment of self-guided walking trails at Strangways and at another Overland Telegraph / mound spring site, known as the Peake, at Freeling Springs on the Peake pastoral lease. Two walking trails were established at Strangways by FOMS in 2011 – see more detail about the trails elsewhere on this website. Fifteen FOMS volunteers spent almost a week constructing 4km of trails and installing markers to highlight points of interest, as also described in a trail brochure prepared by FOMS. FOMS volunteers now maintain the walking trails and on-site brochure supply on a regular basis. FOMS has maintained a good working relationship with the State Environment Department and recently installed new interpretive signs, prepared by the Department, at Strangways to replace older deteriorating signs.